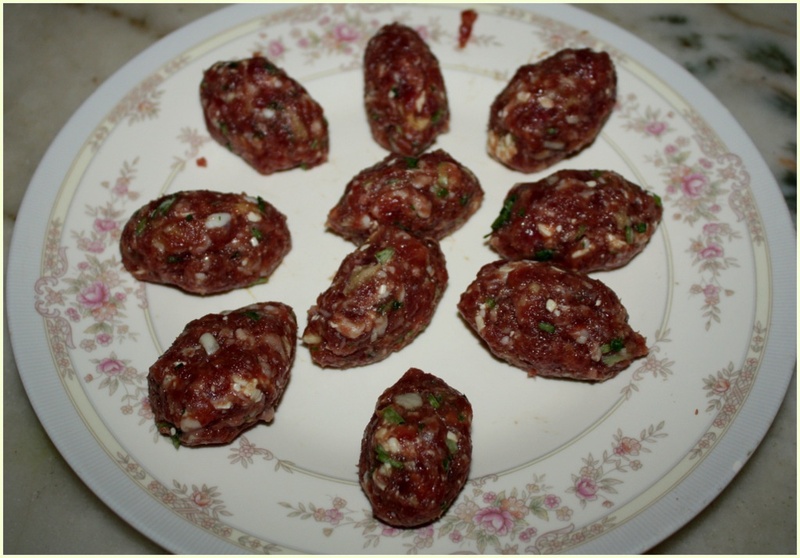 Mix all the ingredients for the meat balls and shape them into desired size. 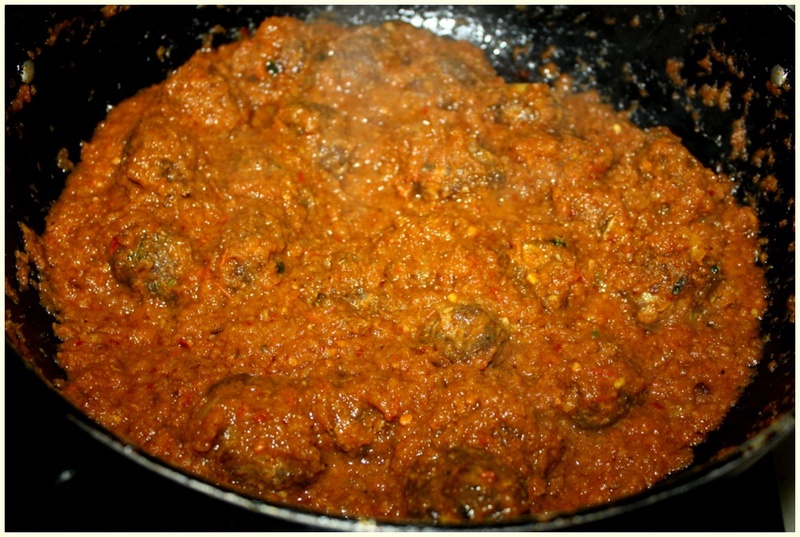 Add the tomato paste and all the dry spices and fry till you get a nice rich color. Add in the coconut milk and water.and let it simmer for another 5 mins. 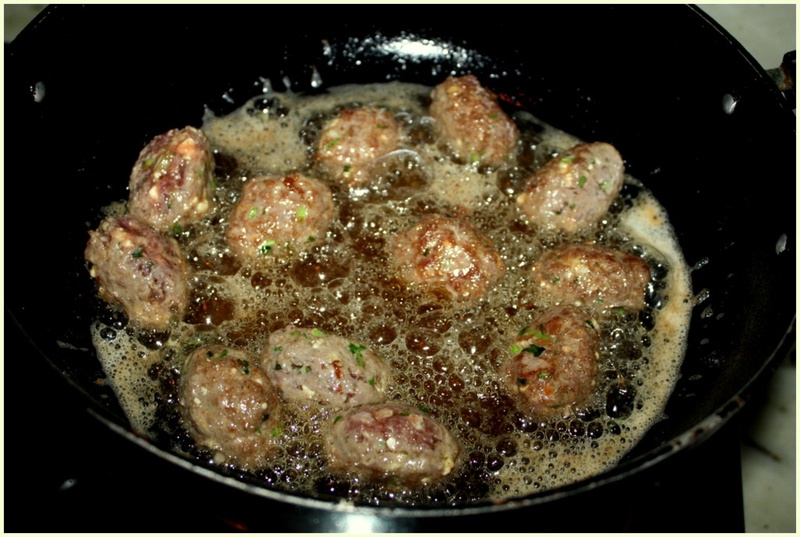 Add in the meat balls and do not stir. Let it cook for 10 mins. Mix well and adjust seasonings as per your taste. 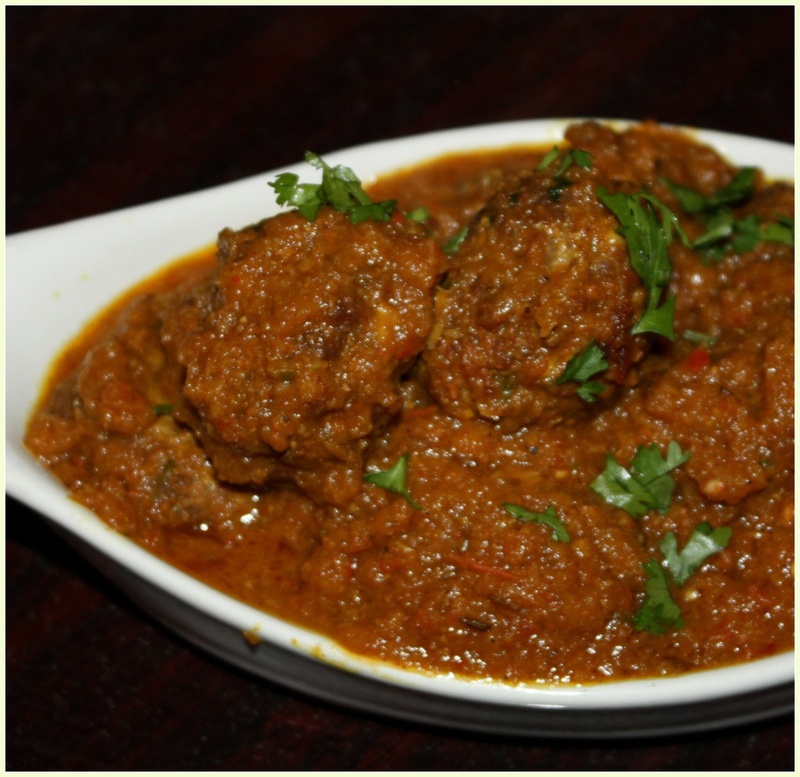 Serve hot, garnished with freshly chopped cilantro. 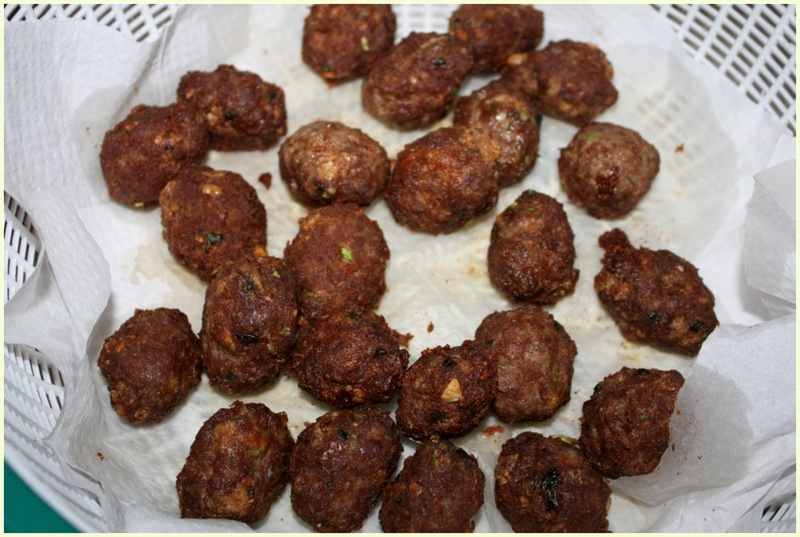 It can be eaten with rice or rotis and naans. Happy Cooking ! 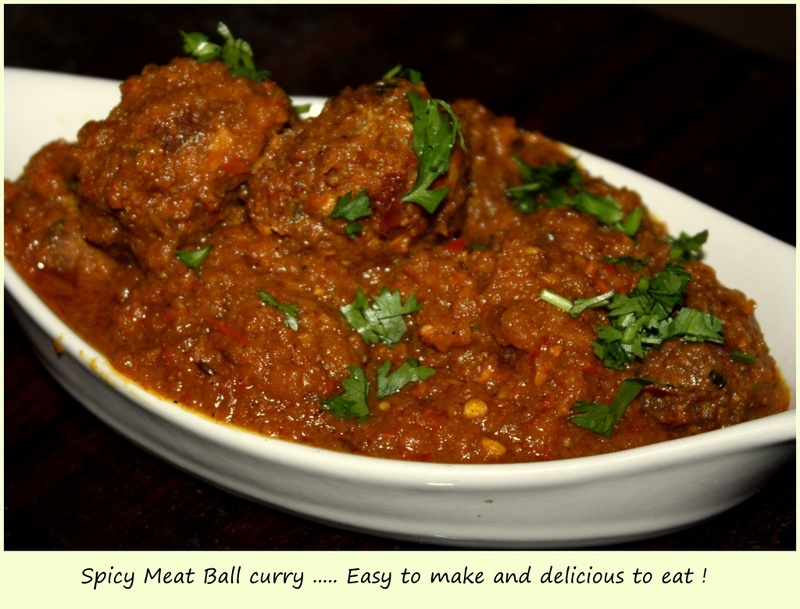 This entry was posted in All Recipes, Chicken, Mutton, Pork and tagged Keema Kofta, Kofta Curry by Kamakshi. Bookmark the permalink.